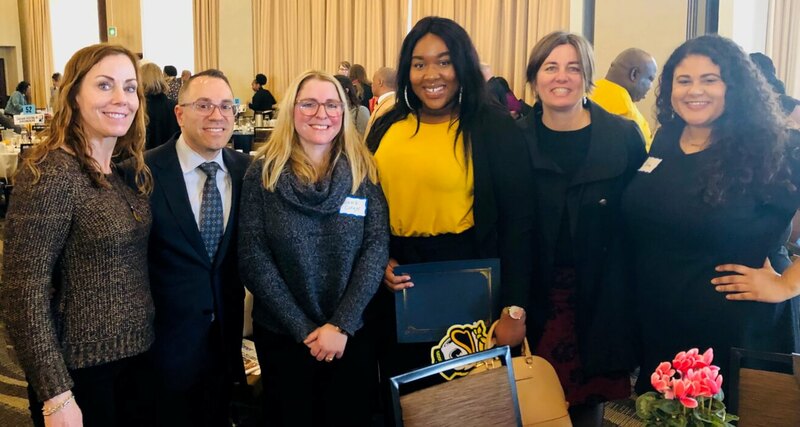 The Skanner Foundation hosted its 33rd Annual Martin Luther King Jr. Breakfast on Monday, January 21, 2019. This breakfast is a 30-year tradition in Portland and features state-wide, local and business leaders to come together as a community and honor the life and legacy of the late Dr. King. 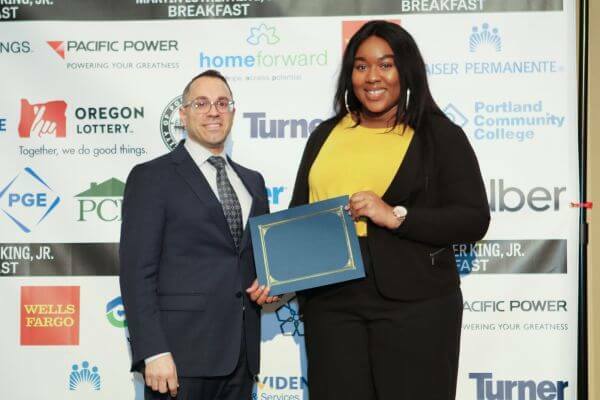 This year, Cascadia Behavioral Healthcare was honored to present a Skanner Foundation scholarship to Destiny Isibor, a graduate of De La Salle North Catholic High School and a freshman pre-med student at the University of Oregon who has an interest in community health and social justice. This was the first year Cascadia has participated in the scholarship award. Cascadia sees this scholarship as a way to connect with students as they determine their future career paths, and support deserving students with much-needed financial aid. Held again at the Red Lion Hotel at Jantzen Beach, the Skanner Breakfast featured keynote speaker Larry Gossett, King County Councilmember. A native of Seattle, Gossett helped found the Black Student Union and the Educational Opportunity Program that recruits minorities at the University of Washington. The event was also attended by Governor Kate Brown, House Speaker Tina Kotek, Senator Ron Wyden, Senator Jeff Merkley, Multnomah County Chair Deborah Kafoury, Portland Mayor Ted Wheeler, and Portland City Commissioner Jo Ann Hardesty.